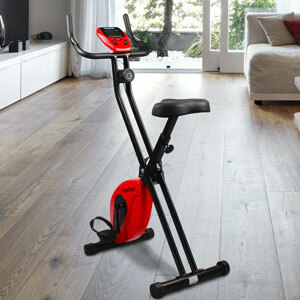 Is The Finether Folding Magnetic Upright Exercise Bike A Good Entry Level Bike? The Finether Folding Magnetic Upright Exercise Bike is a nice looking bike that immediately looks like the sort of entry-level model buyers want for the apartment. It is small and attractive, with the promise of a decent workout. Users can work through a series of magnetic resistance settings on the cushioned saddle, and track their progress day by day. Is this enough for first timers, or are there hidden problems?